Quite a nice menu, looks like it will be the new F offering? ... Quite a nice menu, looks like it will be the new F offering? 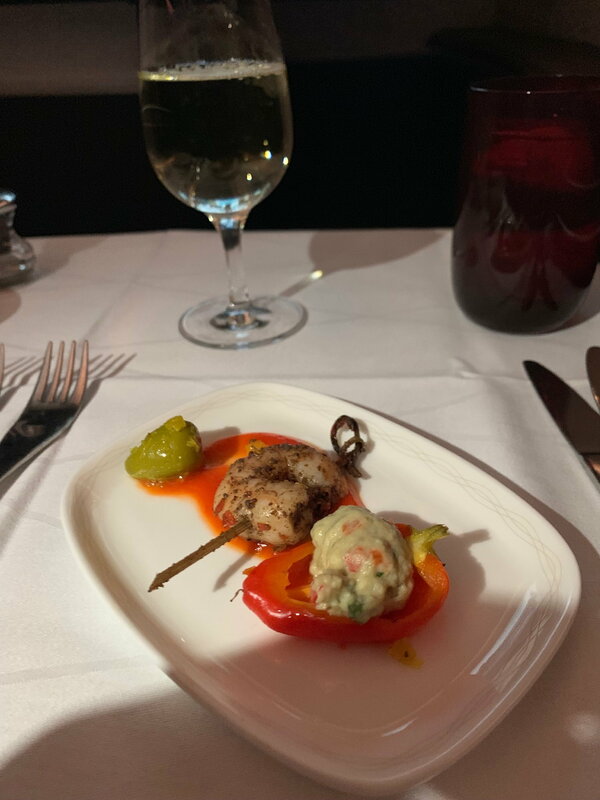 I suspect you are correct, there is an additional appetizer choice, and one main option less. Also booked to SFO in F in April with this menu. I was a little intrigued by the lack of advertised carbs with the mains (excluding the ravioli, obviously, and ignoring the bread sauce), normally BA mentions the carb element. I wonder if they will come unadvertised, or if BA is going reduced carb in F (which is ok with me)? I think I will go for the halibut and hope it's not overcooked. orbitmic and Oaxaca like this. I have the same as the Kuala Lumpur menu to SAN on 20.3.19. Except being the 'old/current offer' there is one less main. (Somewhat bemused of the timing of my first first!) Currently have the stone bass ordered - any good? I have read too many horrors stories about the steak which would have been my natural choice. Very similar to the SFO menu, so looks like we're in the for the new service offer. Here are my options, torn between the beef fillet and the fried chicken, anyone tried both? What would you recommend? This is the menu I have on my F to BOS in a couple of weeks time, and I have a really stupid question. Is the Vichyssoise served hot or cold ? Yes, I know it is normally cold, but it can also be had hot. And what are the opinions on the fillet of beef, given the usual reports on here of it not being cooked properly ? Quick question about timing. 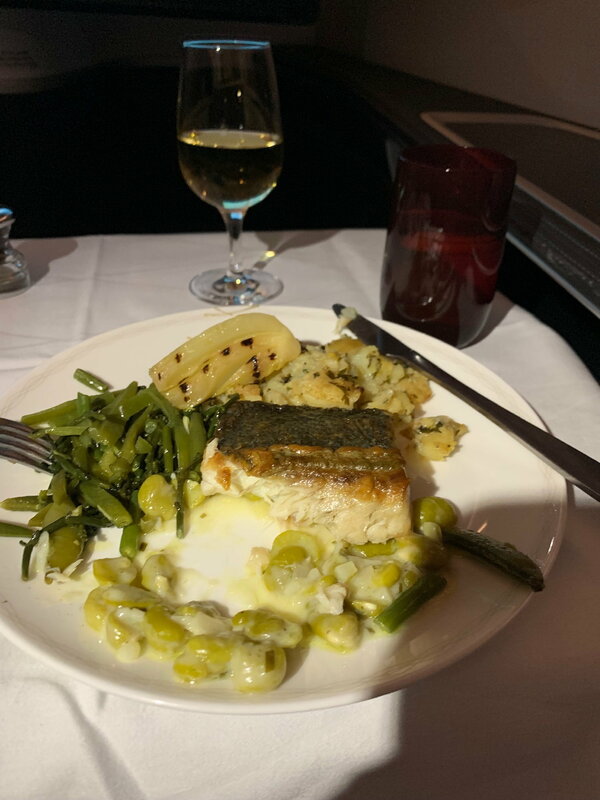 Our menu just posted for a LHR-SEA flight ( same as what Gomac posted above) . Our flight leaves at 9:30 AM ( London time). 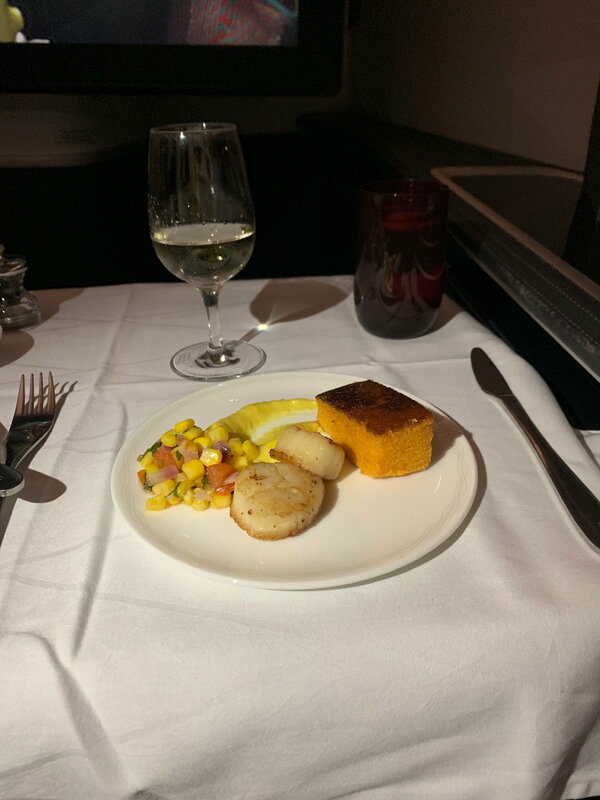 At what point in this 9 hour flight is the meal served? What would they serve before landing? Thanks. 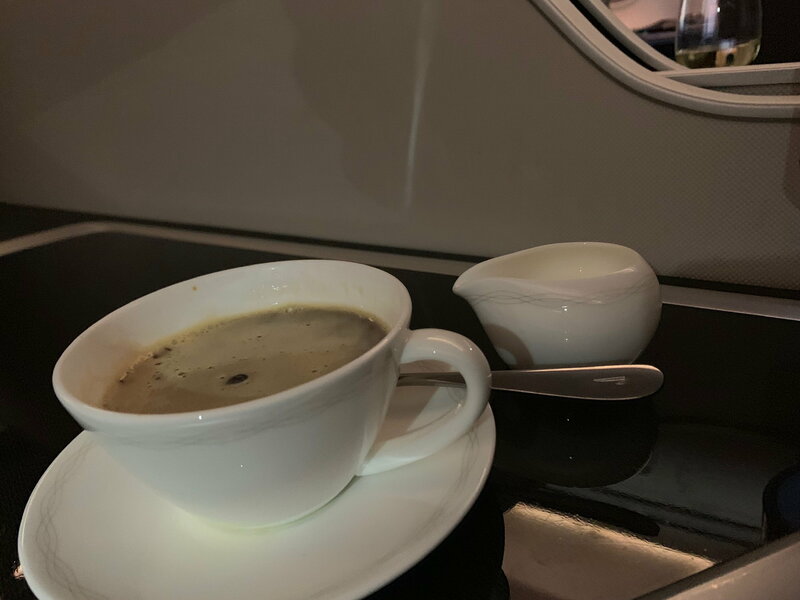 BA53, the morning SEA flight, is still just late enough to qualify for lunch + "afternoon" tea, despite landing before midday. 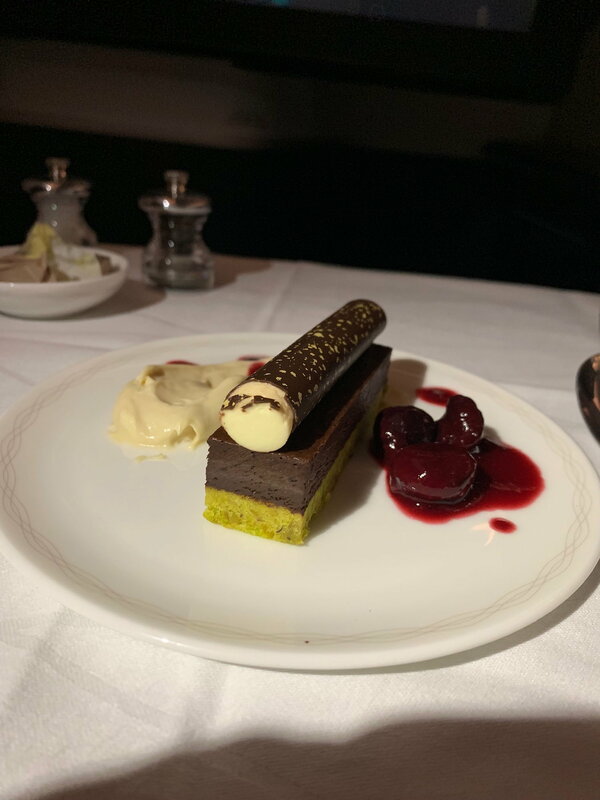 Service is still the long haul standard under ~5000 miles of bar + hot meal after take off, then light meal around 90 minutes from landing (afternoon tea on dayflights departing London before 5pm under 5000 miles).